Chicago is a huge, bustling city, which means people often come here on business and need a place to stay. These hotels are specifically catered to business travelers with great amenities and an atmosphere that makes them feel at home. The Peninsula, an Asian themed hotel, occupies an entire city block of the Magnificent Mile and has a restaurant which serves Cantonese cuisine in a 1930’s supper club ambiance. They have free fitness classes so guests can stay active while traveling. the Peninsula also has a conference room, which makes it a popular hotel for corporate meetings. Complimentary Wi-Fi and a coffee shop help to make it a great hotel for business travelers. The Park Hyatt has gorgeous views of Lake Michigan and the historic Water Tower Place. This hotel also has a great restaurant NoMi. The rooms have glass desks and sunken tubs, and combine a functional place to do business with beautiful decor. It has been named one of the world’s best hotels by Hotel and Leisure magazine. The Waldorf Astoria has an indoor pool, full service spa and a health club. For business travelers, they have a business center, meeting rooms, and technology support staff. It has a gorgeous art deco style to it. 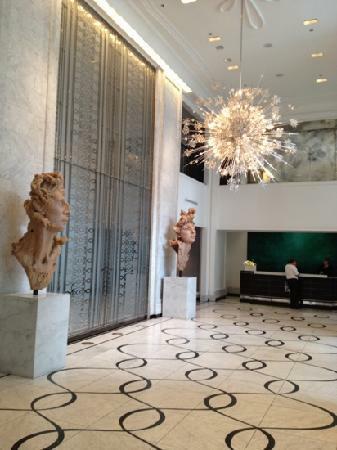 Located in the Gold Coast area, the Waldorf Astoria is close to both night life and Chicago’s business district. Business travel is a growing area right now and hotels are capitalizing on that by catering to business travelers, especially in a large city like Chicago, which makes a lot of money from tourism. Hotels will continue to cater to business travelers because it is an ever increasing market. 5 Star Hotels in Hyderabad Hotels In Hyderabad The Golkonda Best 5 Star hotel In Hyderabad :Golkonda hotel Hyderabads premier and Convention Center Offers rooms and suites,restaurants, and a lounge at comfort, quality and great value for money.